Targeted toward young, upbeat, energetic individuals, Social Raves aims to provide a community-sourced guide to fun local events and businesses. Our audience is outgoing and active, highly educated, short on time, but high on disposable income. The website incorporates both event listings and user reviews, creating a fun, interesting way for funseekers to discover local establishments. We built an upbeat backdrop for an active online collective of local event and venue reviews. With bright, clear navigation and a dynamic feed of summaries, briefs and activity, Social Raves provides up-to-date info & feedback on fun events and hotspots in Ohio. The site also offers search options, intelligent & personalized event list management, bookmarks, and personalized networking tools. The site provides a thorough online community experience. Members can interact online and leave comments, submit photos, and engage with local businesses & brands. 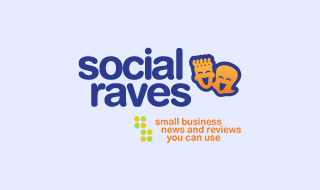 SocialRaves aims to answer both logistical questions - the whats & wheres - as well as personal questions about local events. They can also create personal pages to showcase relevant news, entertainment, sports, etc. that they enjoy. I am interested in learning more about the development services your company offers. Please contact me.